Everyone likes to have fun. Whether you’re a baby mastering your first steps or a senior citizen running a marathon, nearly everyone finds joy and excitement in exercise and physical activity. Giving your little bundle of energy an ideal play date to run around and enjoy his or her freedom can prove to be very beneficial for both the child and parent. Funtastic Playtorium is proud to be your go-to indoor playground in Bellevue, providing an optimized kid’s play area for Washington children. Our safe, fun-filled children’s playground is built to supply your little adventurer with the perfect outlet for running, climbing, playing, and more. The benefits of exercise are plentiful for fun-lovers of all ages. Today, we’ll break these benefits down into two categories. When your child is under the age of 10 and in need of an exciting play area, be sure to bring him or her to our massive indoor playground! Frequent exercise helps children and adults to improve their fitness levels. Everyone knows that exercising makes you feel good, but did you know that the activity has more beneficial effects? The long-term benefits include strong immune systems, which will help to keep your little one healthy year-round, providing additional help over the years from ailments such as cancer, heart disease, and more. Regular exercise also promotes a more efficient metabolism, laying the foundation to protect against insulin resistance and a subsequent diabetes diagnosis. Exercise is a great way to increase endurance, but it also helps with more facets surrounding our health than many people think. For one, the act of sweating helps to release toxins stored in the body. While you’re running around having fun, your body is cleaning itself and gaining improved immune functions. Anyone who claims that exercise helps them to feel better emotionally and mentally is certainly onto something. Studies have shown a link between higher levels of exercise and improved brain function. The positive regulation of hormones also helps improve your child’s mood and outlook on life. Students who exercise frequently feel better and are better able to concentrate, as well. Overall, young athletes report reduced levels of anxiety, stress, and even depression. More importantly, your little star can benefit from the improved levels of confidence. Plus, the joy of being able to run around and let out all of his or her energy can be very beneficial for the mind! Instilling the importance of regular exercise and proper nutrition can be a challenge for parents with young children, but our interactive kid’s play area is here to help. 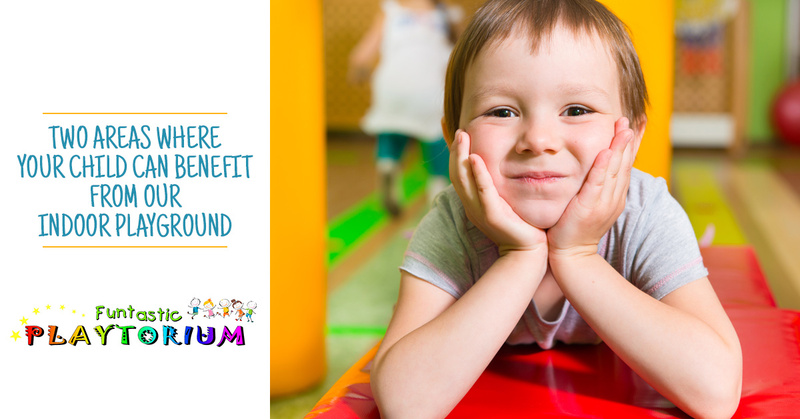 Funtastic Playtorium is here to provide the perfect environment to let your child run and play in. With safe, secure facilities in Washington, we’re ready to get your adventures started with our indoor playground for Bellevue residents and beyond. From the small children’s area to our engaging obstacle course, your child will have a blast when he or she comes to visit our fun facility. Our amazing indoor playground for Bellevue residents and beyond is the perfect place to let your child run wild. Contact us to learn more or to reserve your child’s space. We also do birthday parties, so be sure to call today!